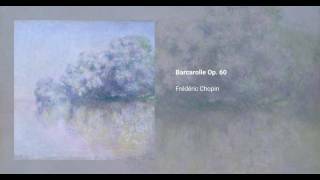 Frédéric Chopin wrote his Barcarole in F sharp major, Op. 60, between 1845 and 1846. It was one of the last pieces he ever played in front of an audience, and it was reported that he could barely play above the pianissimo level when he did so, such was the state of his health. 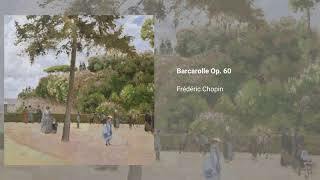 It is also the only barcarole of Chopin's repertoire, which is not surprising, given that the barcarole form itself tends to impose some limitations on the composition process. Nonetheless, he was apparently fond of the work: it is nowadays a repertoire piece for many concert pianists, and many notable composers have praised it.